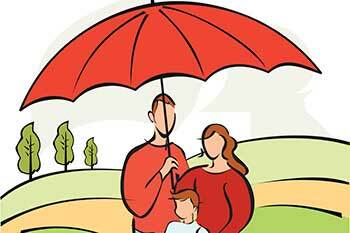 The uncertainties of life have spawned life insurance policies of various types and personal accident insurance is one of them. Personal accident policy offers compensation in the case of bodily injuries, partial or total disability or death of the insured due to an accident caused by external factors. Personal accident policies cover road, railway or air accidents, injuries caused by a fall, burn or collision or due to drowning, among others. These policies offer insurance cover worldwide and provide benefits such as legal and funeral fees, support for children’s education, etc. The premium for personal accident policy depends on the occupation of the insured rather than his/her age. For example, if the occupation of a person involves extensive and frequent travelling by road, air, or railway, the premium will be higher than the premium who occupation does not involve much travelling. But notwithstanding the factor of professional hazard determining the premium of the policy, it is always better to buy a personal accident policy irrespective of age and health. This is because the life insurance policy may provide cover only in the event of death and a medical insurance policy may provide insurance cover only if the insured contracts illnesses covered in the policy document. The injuries and illnesses caused by accidents may not be covered by life insurance or medical insurance policies. The personal accident policy is beneficial as it covers permanent total or partial disability that may impair the earnings potential of the insured. It offerscompensation for domiciliary treatment and home nursing as well as for physiotherapy sessions.